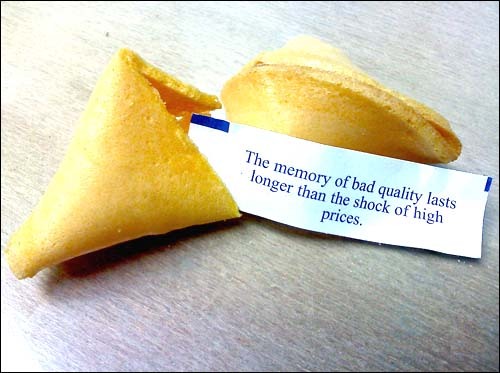 When living in Hong Kong in 1997-1998, I discovered that Chinese fortune cookies do not exist in China, but rather are an American innovation. 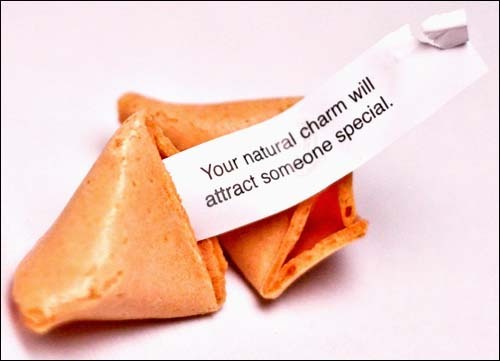 In my early days eating American Chinese food, I got used to the idea that the fortune cookies supplied with the check at the end of the meal actually did contain a fortune — that is, a prediction of what would happen to you sometime in the future. These fortunes always had a positive, or optimistic, character, since it would clearly be counter-productive for a restaurant to deliberately give its customers bad news. 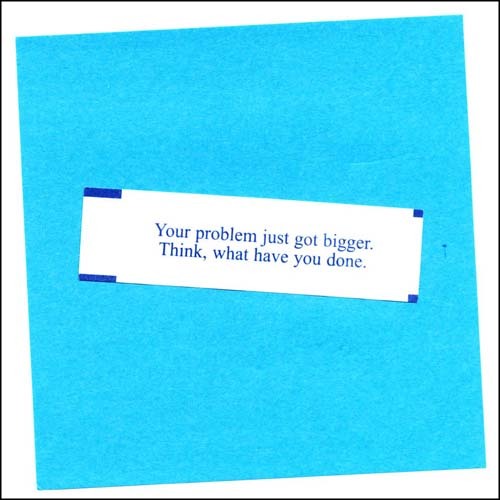 At some point, however, the fortunes in fortune cookies seemed to change their character; in fact, they were no longer fortunes at all, but merely trite pronouncements about life. Not having an actual fortune in a fortune cookie was discouraging to me, since there are already enough trite pronouncements about life available through mass media and news programming; it seemed hardly necessary to work my way through the plastic packaging of the cookie, and crack open the hard shell of cookie material, in order to get yet another annoying message about love, life, and work. In the end, we paid the bill and left the restaurant. I haven’t dared return. This entry was posted in Uncategorized, Writings on March 17, 2013 by jonochshorn.